Formulating your own soap recipe can be tricky. 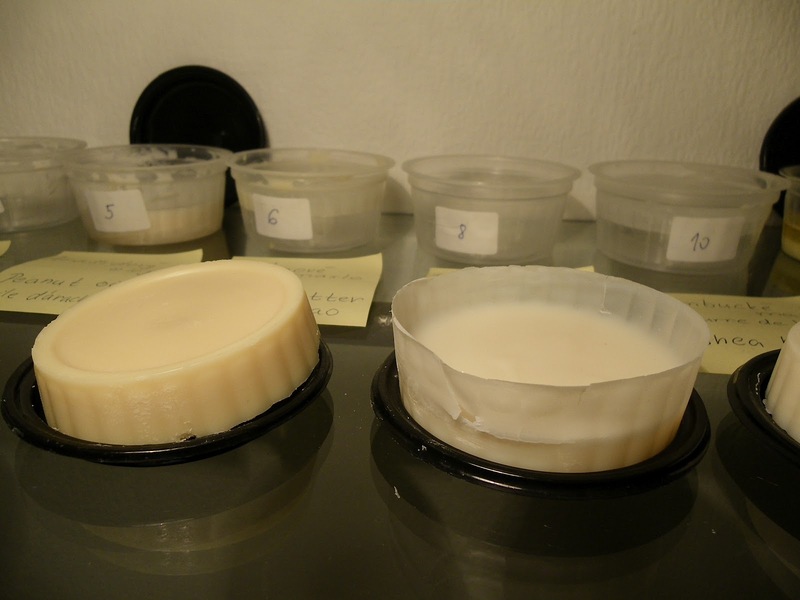 There are some nice tools estimating the final soap characteristics like hardness, conditioning, bubliness, creaminess of lather like for example soapcalc. But getting the real feel of it is an experience. 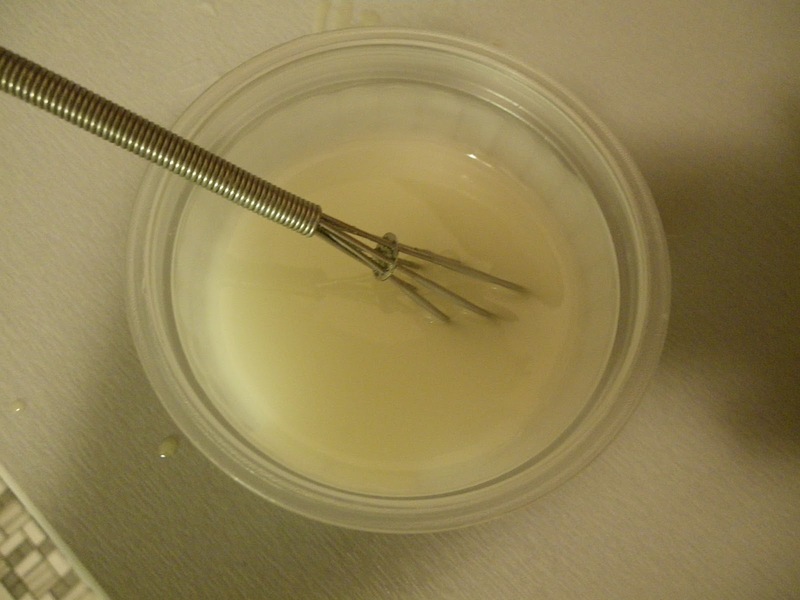 how the oils react in the saponification – e.g. do they trace fast or you have to whip long time? 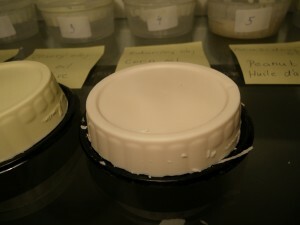 For molds I used individual 150 ml plastic containers I had from some diary product. 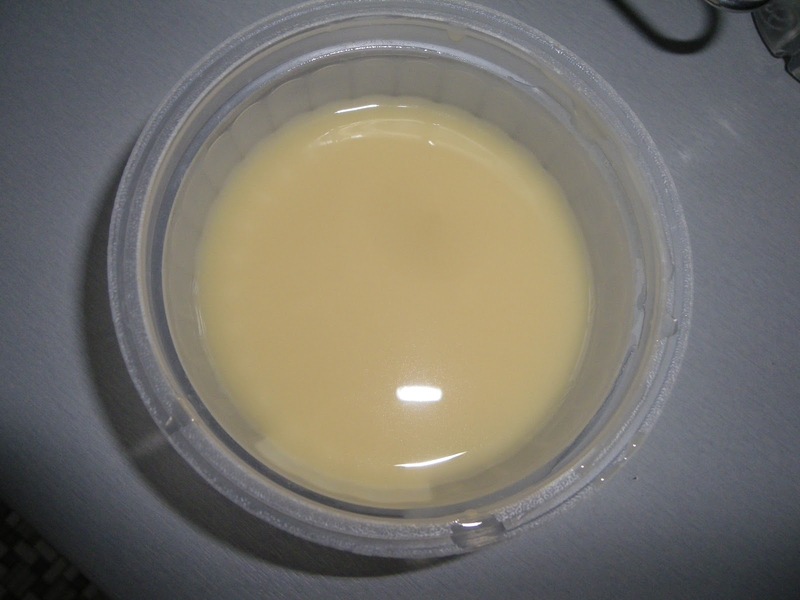 Therefore I set up the oil quantity to 50g, so that after adding the lye I still can stir comfortably. 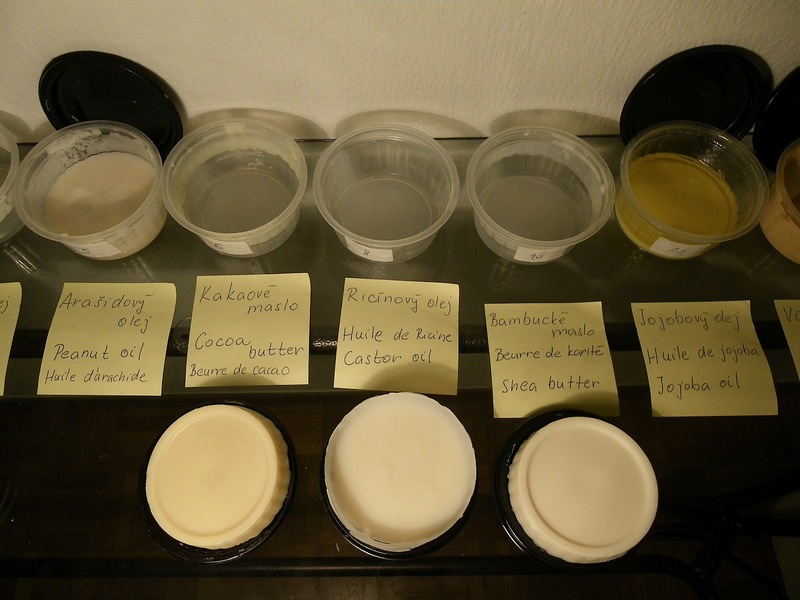 Table 1 shows the recipe and experimental conditions for each soap. The sodium hydroxide was calculated using SoapCalc. 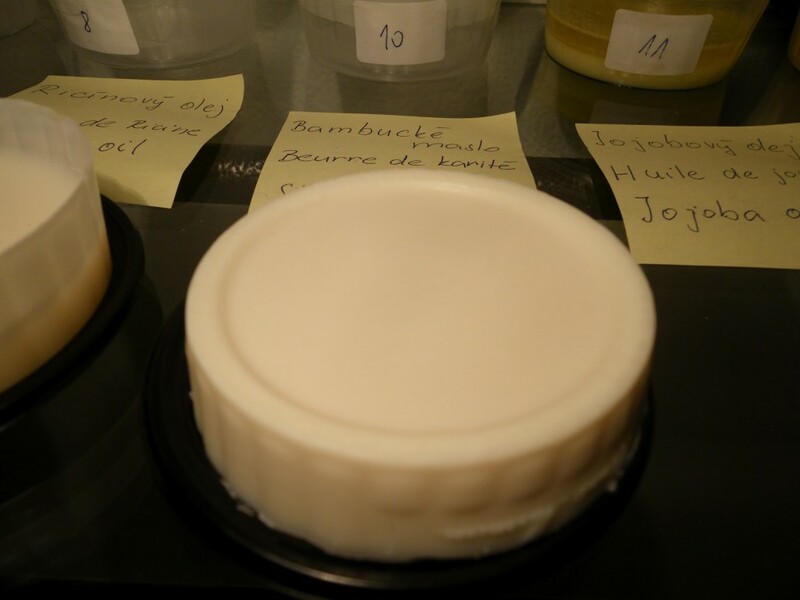 Jojoba oil and beeswax are waxes and need only half of the quantity of sodium hydroxide, because they can contain 50% or more unsaponifiables. Table 2 Summarizes how the soap behavior until trace. 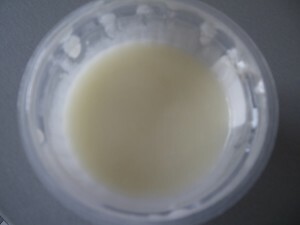 Jojoba oil Not used Used directly blender, after few minutes a trace occured.However, after few minutes separation occured. Next 2 hours I hand stirred the soap every 20-30 minutes, at the end by blender.Every time the stirring helped into trace, however after time the trace always separated. 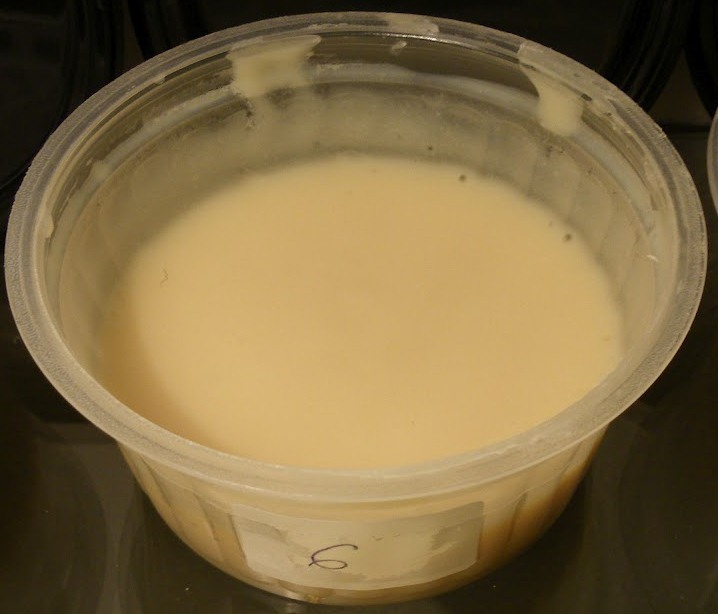 Directly thick trace, however, in minutes it dried out and curdled. 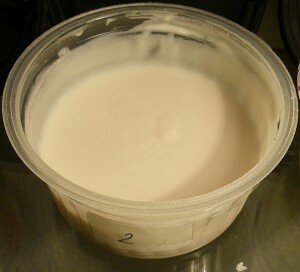 I had heat it up, add 32g of water (20g, then 12g) in order to get cream consistency. 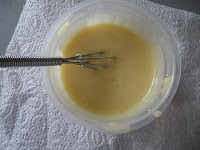 Castor oil, shea butter, palm oil and beeswax traced without using blender, castor and shea tracing the fastest, followed by palm oil. Beeswax behavior was rather strange – first it soaked in all the lye solution and then turned into very dry mass. 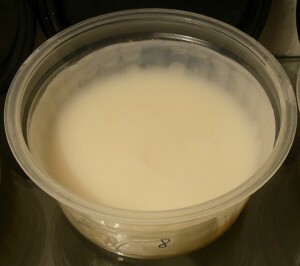 As the temperature decreased, beeswax solidified, so I had to reheat and add more water. 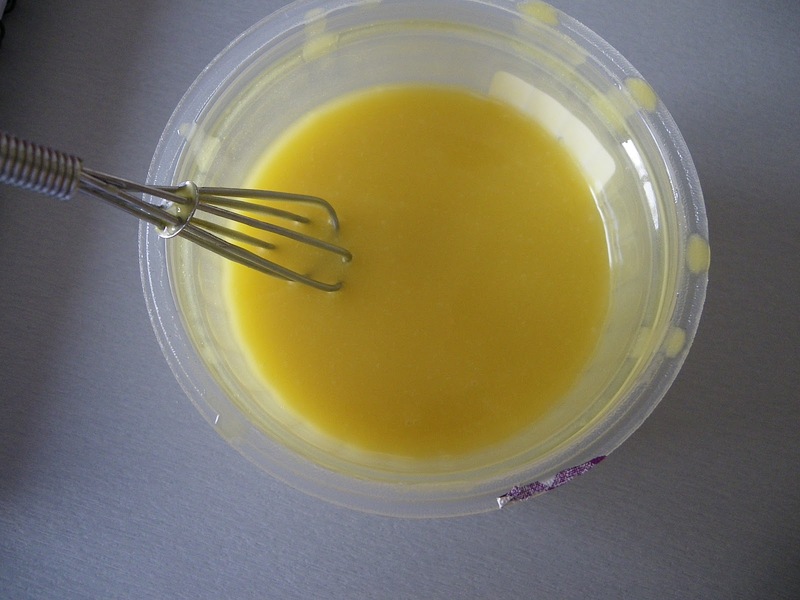 Later I have read that it is better to saponify beeswax by hot process, which is of course logical – so that it does not solidify. 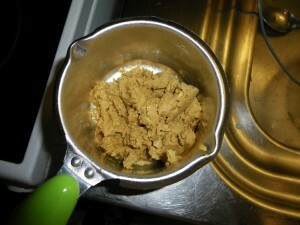 Why to saponify beeswax when 100% beeswax does not foam at all? 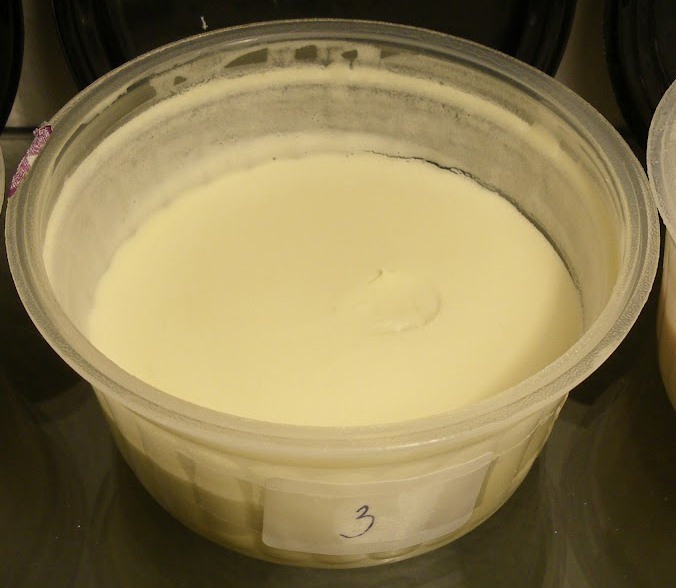 You can use it as a home-made emulsifier. 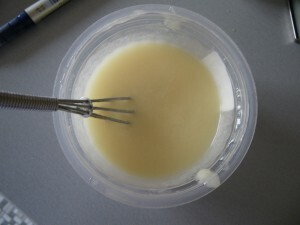 Corn oil, coconut oil and peanut oil – needed blender in order to reach trace, but after it traced within seconds. Olive oil and jojoba oil were the most difficult to trace, even with a mixer. Jojoba oil separated all the time, so I left it separated to cure. I unmolded soaps after 24 hours. A nice adventure 🙂 Of course, I took pictures and tried soap hardness by thumb imprint before unmolding. The softest soap was from peanut oil, the hardest was from cocoa butter. As a bonus, I have made a video. The whitest soap was the coconut oil soap, followed by castor oil soap, which was slightly translucent. Both followed by palm oil soap which was of white-creamy color, a bit more creamy were shea butter and corn oil soaps. Rather cream yellow was peanut oil soap. 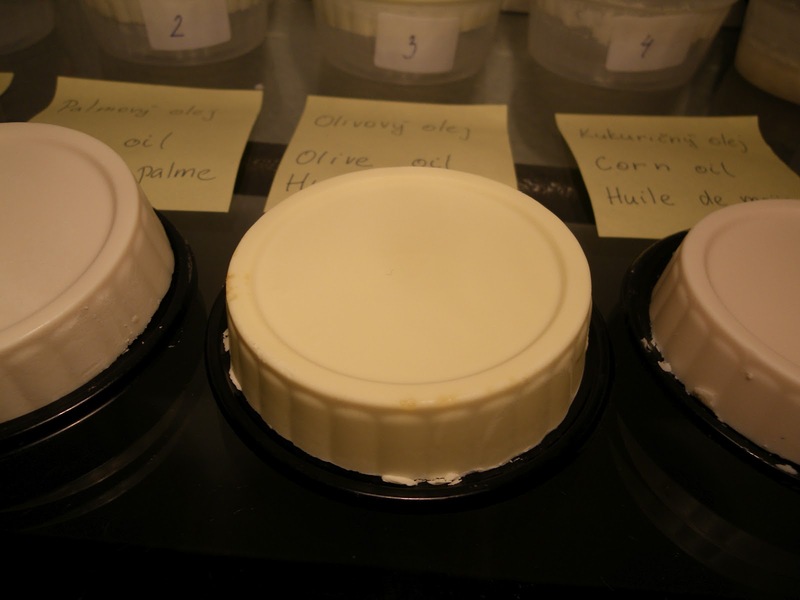 Olive oil soap was yellow-green and started to loose color through expanding white spots within the following days after unmolding. After two weeks it was completely cream-white. 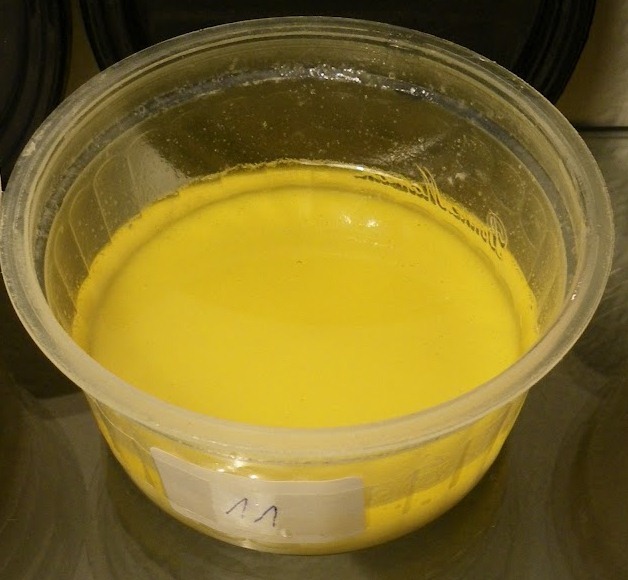 Cocoa butter soap kept the darker yellow color of the cocoa butter and jojoba oil soap – or rather the floating part of it – was bright yellow. Beeswax soap was beige, interestingly, upon touch it darkened. Although I could unmold the peanut oil soap with help of freezer after 3 days, it remained very soft. 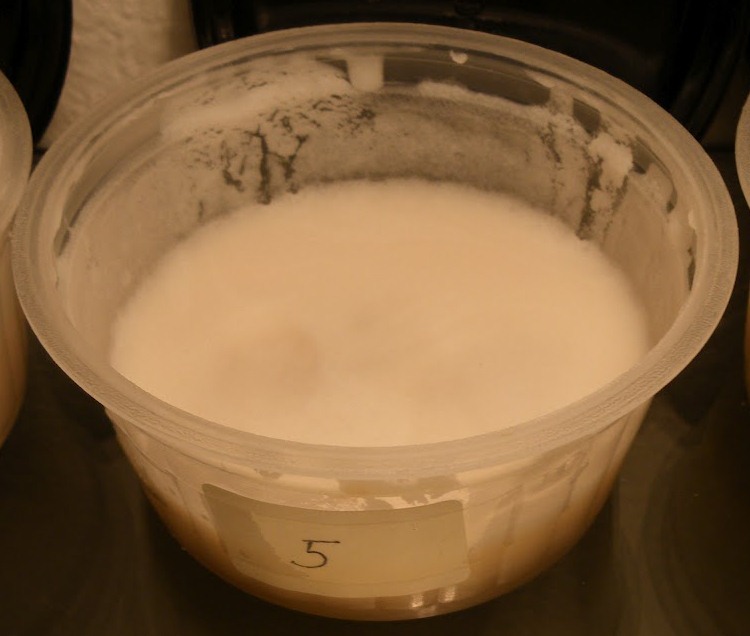 This entry was posted by evik on January 6, 2013 at 18:21, and is filed under My soap experiments, soapmaking. Follow any responses to this post through RSS 2.0.You can leave a response or trackback from your own site. I always admire ur passion and energy. u put gtr n nice info on ur blog. Thanks for doing this! It’s wonderful. I wish you had soybean and canola. I’m a big fan of those, though they’re often dismissed as filler oils that cause DOS. I haven’t had that experience at all and have been using them for 14 years. I guess I could do my own, huh? Love your website. This is the first time I’ve seen it. Good example for – how wrong soap calculator can be 🙂 . You use same amount of water for all your soaps. This is the part where soap calculator is wrong! 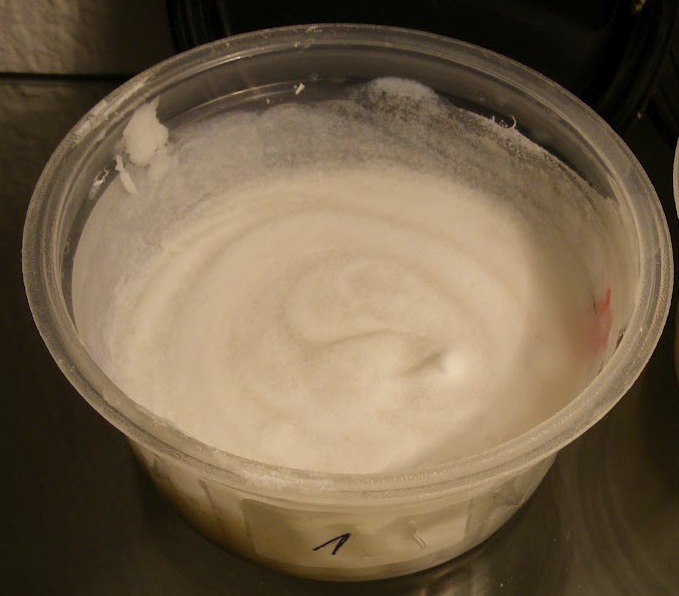 What you really need for saponification – oil and lye. Why do you need water ? To dissolve the lye . Nothing else . Soap calculator calculate your water to oils – but here is no connection between oils and water. 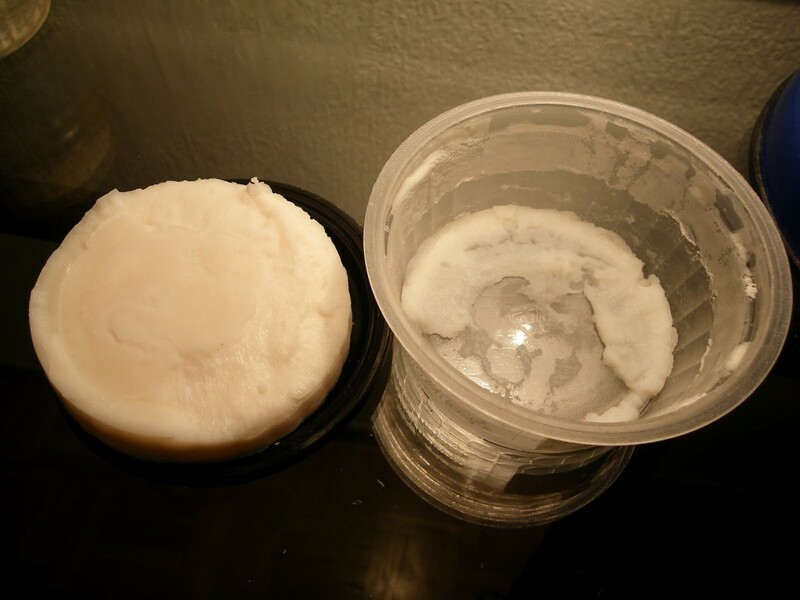 As result you hear myth about hard and quickly reacting coconut soap and not reacting runny Castile soap. Lets look at calculator. 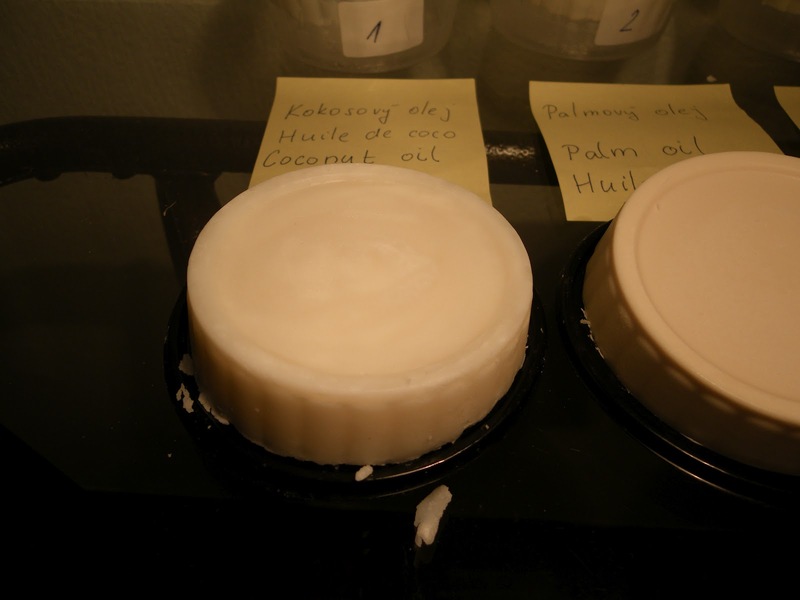 Coconut soap for 100 grams of oil recommend 38 grams of water and 17.41 grams of lye. Jojoba soap 38 water and only 6.23 grams of lye. As result lye solution in first will be very strong – stronger lye produce lover gel temperature and very quick hardening and crumbles . In jojoba lye is to watery which giving slow reactions and separation . Technically for jojoba soap 7 grams of water will be enuf do dissolve the lye and produce nice soap. Calculator recommend to use 5.4 times more than you really need. It’s like cooking bread and use same amount of yeast for two loafs, one loaf and for 5 loafs. I never even considered this when making soap! But it makes so much sense! I’ve had frustrating batches and I bet I used too much water! I’ve been making soap for 16 years and you are the first person I’ve seen say this! Thank you! Just came across your site today and love it. My question though is there a particular reason why you don’t use canola oil in your experiments. Hi Tereze, no particular reason – I didn’t have it at hand. I am preparing something similar with canola, sunflower and some few more oils (rice bran, grapeseed, avocado, …). What a beautiful experiment! So happy you did this and shared your thorough information 🙂 I do have a question though. I am wondering after they cured which ones worked the best, or if any didnt work at all. It would be super helpful if you could let me know which ones works and which didn’t. Thankd again so much! Love this blog btw! Like Shauna, I too am wondering how they worked. Any lather? How do they take to fragrance? 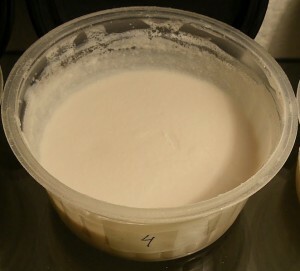 I have several pounds of pure unrefined Shea that I am trying to use. Hi Tasha, Shauna – I posted results after two weeks and 15 months after curing, the links to the results are at the very end of the post. Did you mean something like that? Lo and thanks for this article my question is how did the palm oil soap work out? The lather? How was it on your skin? Pros and cons?? Hi Brittany, did you check the two links at the end of the post leading to tests of foam etc?. Hi Rebecca, well, that depends if it passes the gel phase or not. If it does, it is good within 2 weeks, if not, I would give it 1 month. The best is to check the pH and try it on yourself in regular intervals, that way you can get the best idea when it is usable. 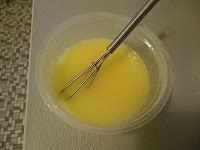 But the most useful unrelated idea I got from the post was the potential for using beeswax as a homemade emulsifier. I’d been searching for ideas along this line for quite a while and here I find it, out of the blue, when reading up something else! 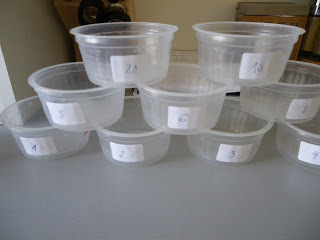 Hi Evik, this is a great post for soap making beginners. I would actually love to make this experiment myself to get the feel of working with each oil individually. 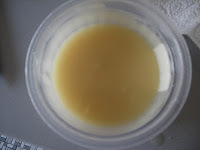 I was wondering what do you think about making 100% shea butter soap? 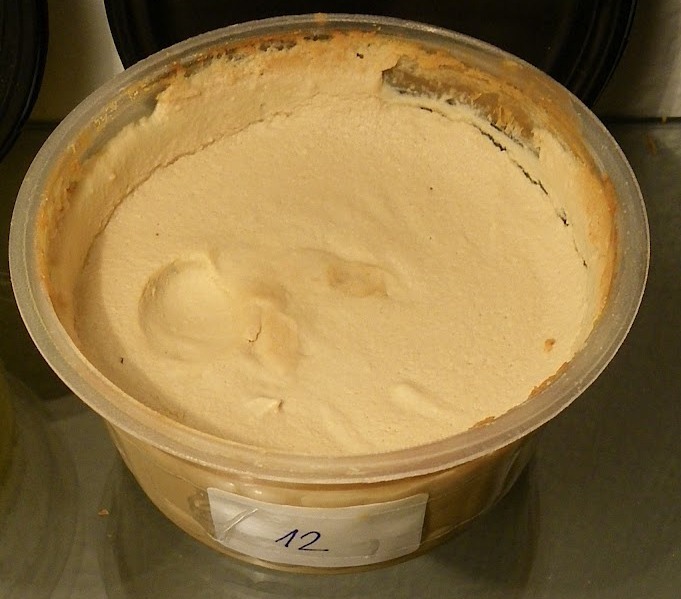 Would you recommend making it for a face soap? I wonder if anyone know the magic numbers for peanut oil soap, or should it only make up 20% of the oil? 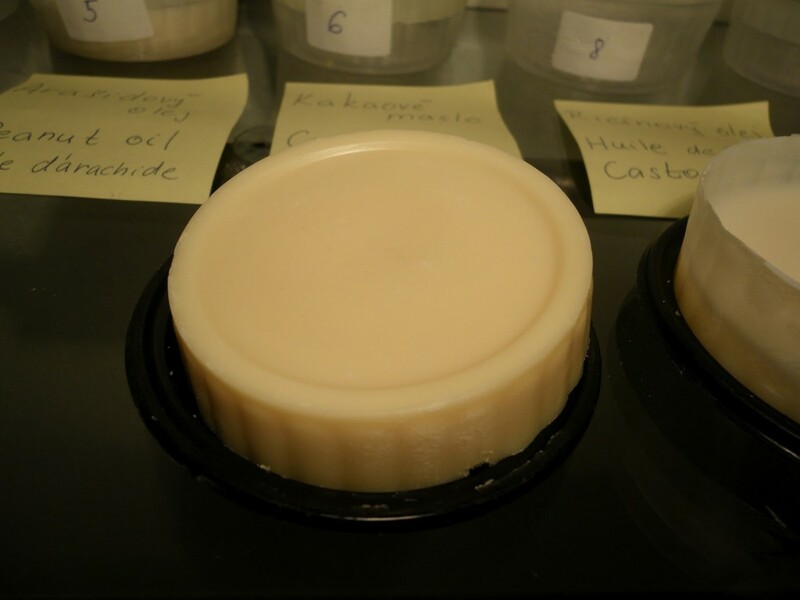 Does beeswax soap really work as an emulsifier? Could one replace emulsifying wax with it in a lotion recipe? I used fractionated coconut oil to make some soap bars but its been more than 12 hours and the bars are super hard and there is some sort of crystals on it. Is that normal? Is there something that i did wrong? Hi Nathalia, it seems you used 100% fractionated coconut oil, is that correct? This oil gives very hard soap that cracks and yes, results in crystals on the top. Not much foam either. You did nothing wrong in the process, except for you gave too little water and also, you should definitely combine it with another oil. Saponified beeswax as a homemade emulsifier?!?! I must know how to use it, and instructions, and recipes, and…. You really did an amazing job here, experimenting with all kinds of oil. I have always wondered why we mix so many oils in one soap recipe. I am particularly interested in the shea butter soap. 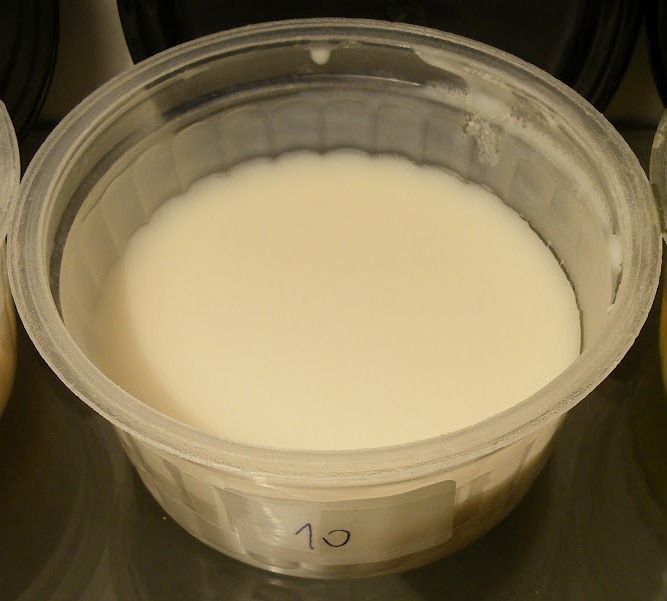 I would like to experiment with goat milk instead of distilled water. Do you think it is a good idea?? Hi karen, yes, shea butter is good with everything, even goat milk 🙂 It will be a wonderful soap. But beware, it will trace very quickly, so you better mix by hand. And my other thought is: is the soap didn’t solidify, this doens’t mean it cannot be used as a shower lotion (instead of using a soap), right? And my other thought is: if the soap didn’t solidify, this doesn’t mean it cannot be sued as a liquid shower lotion (instead of a hard soap bar), right? You are great! This is all I wanted to know about soap making but I have no time to do that. You did a great job. Big clap for you! 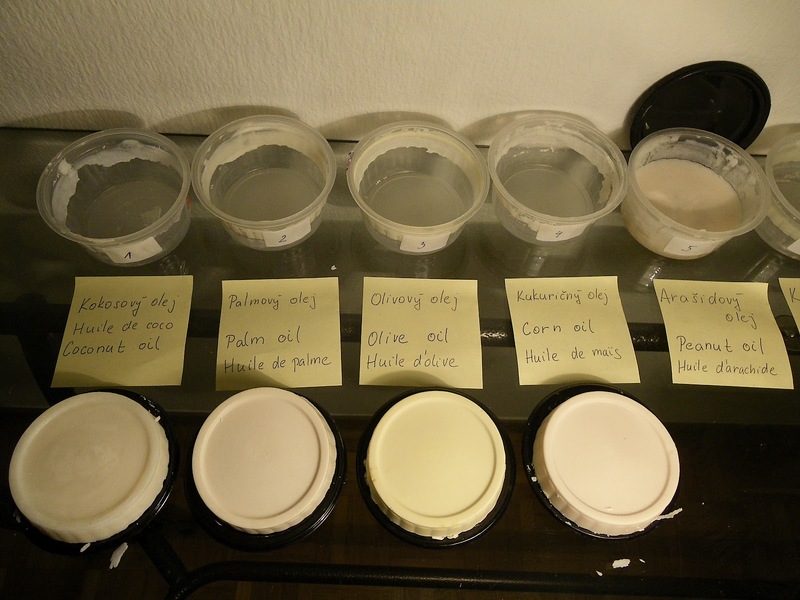 Do you think we should blend the soft oil first and add in hard oil last before reaching trace since each of them having different property and trace at different timing?